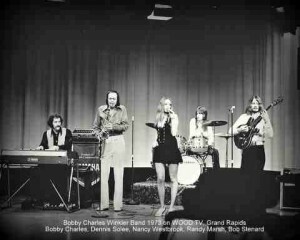 Charlie Winkler “Bobby Charles Winkler” is an accomplished Musician with several decades of experience in the music industry spanning from the manufacturing of musical instruments and gear to end user as a musician. 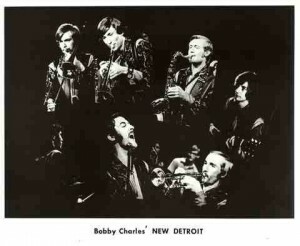 Charlie’s band recorded their first album in 1963, with five more to follow. The first album brought recognition and opened doors for new opportunities. One of the largest booking agencies in the country heard the album and signed the band. Charlie toured the United States until 1971, when he made a decision to limit travel to be home with his family. He continued to play the local circuit, but also invested in a music store. Through store connections, Charlie’s exposure to the manufacturing side of the music industry lead to a change of direction. Charlie knew what musicians wanted and needed and brought this knowledge to companies where through innovation, design and marketing, he dramatically expanded their professional audio offerings. He moved from his first corporate position as a marketing manager to owning a highly successful manufacturer’s representative company with multiple locations serving markets throughout the U.S. and Canada, which he later sold to accept a vice presidency role with a major musical instrument manufacturer. 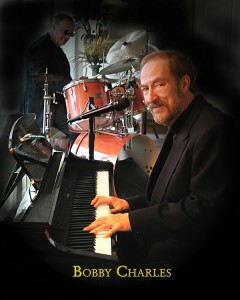 Charlie “Bobby Charles Winkler” plays at clubs, retirement communities, weddings and corporate events throughout Indiana and Michigan. Call Charlie today to discuss your event musical entertainment needs. Having two instruments in a band, keyboards and guitar both playing chords can get very intense. Joe and Bobby listen to each other intensely to sound as one instrument. Joe’s solos are exciting and dynamic. Rich and Bobby have played together for almost a decade. It’s been said that Rich listens and plays like a musician. He fills the holes and never gets in the way. He is one of the most musical drummers I have ever worked with. Wes has an absolute beautiful tone, and plays exactly what is needed to make each song special. He never over plays. What ever happened to Nancy Westbrook? A little update: I just got ahold of June and am hoping to finally touch base with my father. Thanks for your help. I really appreciate it it! “Bobby Charles” is my Dad. It is cool to read about my Dad and see the photos. Thank you for acknowledging his role in West Michigan Music History! I also read the biography of Del Shannon. I posted a link to this site on my facebook page for all those that have an interest. Thank you so much Doug. I know he felt honored to be recognized as one of many great musicians to play in West Michigan. Bob Williams is my dad. Is he still around? I don’t check this site often and just saw your message. As far as I know, your dad, Bob Williams, lives in California. He had a stroke several years ago. His wife has been caring for him. His speech is quite limited. His sister Linda, your Aunt, passed away. Your Aunt Nanette is doing well and lives in Caledonia. I’m sorry you lost touch with your Dad. If you want to locate him. I can ask my dad for his number. Hi Laurie, This June Williams, Bob Williams wife. Please get ahold of me regarding this message. HI RUSTY!!! This is June Williams, your dad’s wife. I have been trying to find you and Andrea for years!!! This is Dec. 9, 2018. I hope you are still around!!! I see your post was May 15, 2015. Hi Rusty. This is June Williams, your dad’s wife. I have been trying to find you and Andrea for years!!! Charlie Winkler was one of my favorites. He played piano in a dixieland band on Friday afternoons (or was it Saturday) at the Shamrock Lounge with Mr. Peepers on clarinet. After that he went to Hamond organ during the time when the organ groups were big. Years later I was on the road in Ohio and I stopped and had a good visit with him.